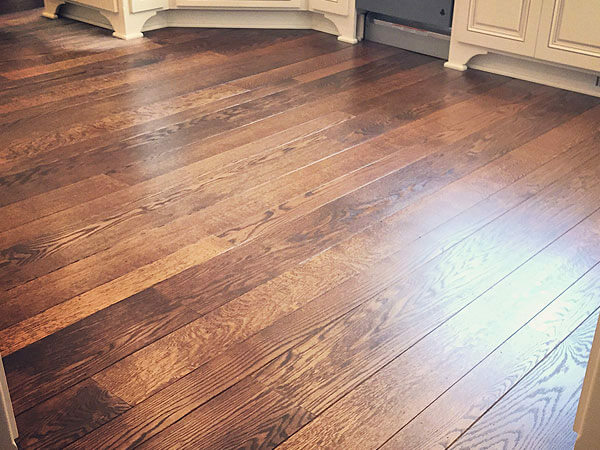 Blueline Floor Coverings, based in San Mateo, California, has over 20 years of experience in hardwood floor refinishing, repair, and restoration. Our exceptional workmanship, superior customer service, and honest business practices have earned us an excellent reputation among hundreds of home builders, general contractors, property managers, and homeowners throughout San Mateo, Belmont, San Carlos, Burlingame, and surrounding areas. Whether you need to refinish hardwood flooring for an entire home to prepare it for resale, restore a worn dining room floor with a custom wood stain, or repair loose and cracked boards in multiple rooms, we have the skills, expertise, and hands-on experience to get the job done according to your preferred style, budget, and high standards. 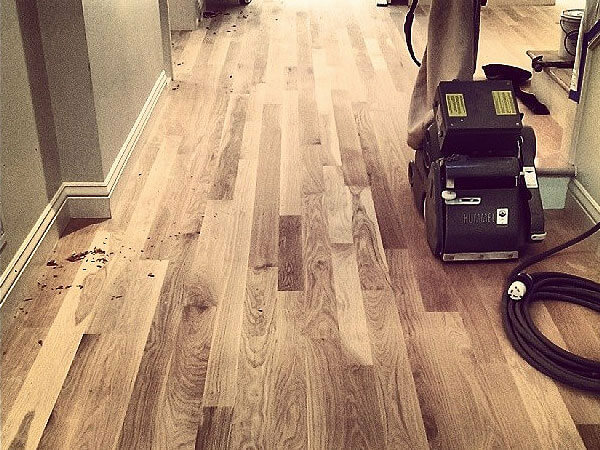 Restoring a hardwood floor is a labor intensive process that requires a high level of skill and expertise. Our hardwood flooring installers have an average of 10 years of experience each, and are well versed in the industry's best practices for hardwood floor repair, refinishing, and restoration. 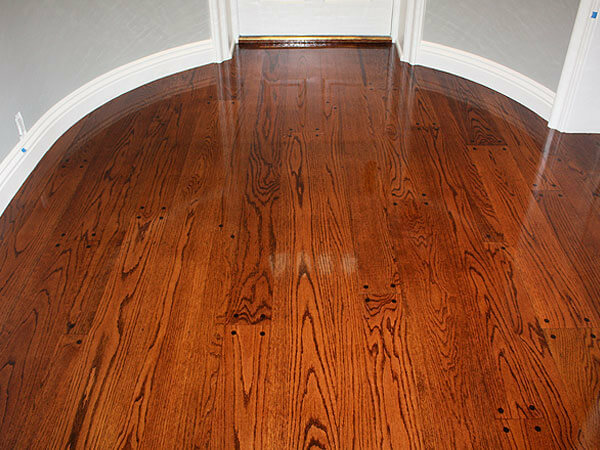 In addition, all of our wood floor refinishing jobs are owner or foreman supervised. Prior to starting any job, we will offer expert advice on choosing the most cost-effective hardwood floor repair solutions for the client's needs and budget, and can help determine which refinishing and restoration services are necessary for the longevity and care of your valuable investment. Our comprehensive hardwood floor restoration process begins by carefully removing any remaining stain from your floors, then repairing and replacing broken or missing floorboards. We then sand the wood with finer and finer grades of sandpaper until it is completely smooth in order to prepare it to receive your preferred water-based or oil-based wood finish. In general, oil-based stains take a day to dry between coats. While a water-based stain is quicker to dry, it does not offer the longevity and wear of an oil-based polyurethane or natural oil finish. As part of our commitment to quality, we only use premium wood finishing products from leading brands, Duraseal and Bona, both well known for their long-lasting and beautiful polyurethane and natural oil wood finishes. When restoring your hardwood floor, you have the option to either match the original finish of the wood, or customize a new color according to your preference. Stop by our 1,000 square foot showroom in San Mateo to view flooring displays and samples of hickory, European oak, French oak, and maple, as well as exotic teak, Brazilian cherry, Brazilian walnut, African mahogany, and more. We also offer new hardwood floor design and installation services, hardwood stairs installation, carpet installation, and wood flooring and carpet alternatives in San Mateo, Belmont, San Carlos, Redwood City, Palo Alto, and surrounding areas. Schedule your FREE onsite consultation and estimate today.